How do I know football season is here? Well, obviously I know what the calendar says. And, my internal clock knows it’s right around the corner, too. But football season officially arrives for me when I am… in Laguna Beach. Yes, it’s that time. We are one week away and I am in sunny Southern California. I wouldn’t have it any other way. 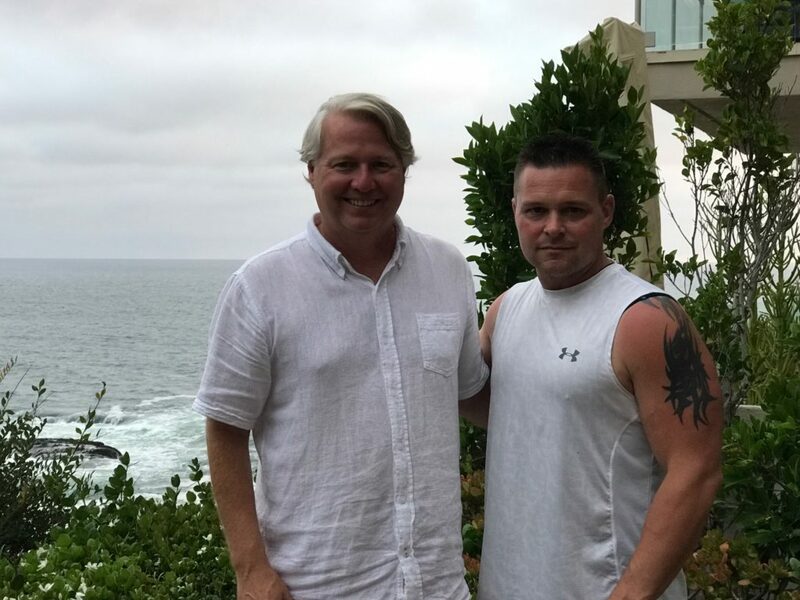 Enjoy hanging-out with Jeff Fisher in Laguna Beach, California. Fisher and I are from the same hometown. He convinced me to write the blog in 2012. I always get away the week before we start and the left coast and Laguna is the perfect spot. This allows me to get away before the madness comes crashing in on my body and mind. Football seasons are long and tiring. It’s good to recharge even before I need a recharge. This is the perfect escape. My wife and I enjoy Laguna where we enjoy the beauty, plus the friendship of High School Football America founders Jeff Fisher and Trish Hoffman. 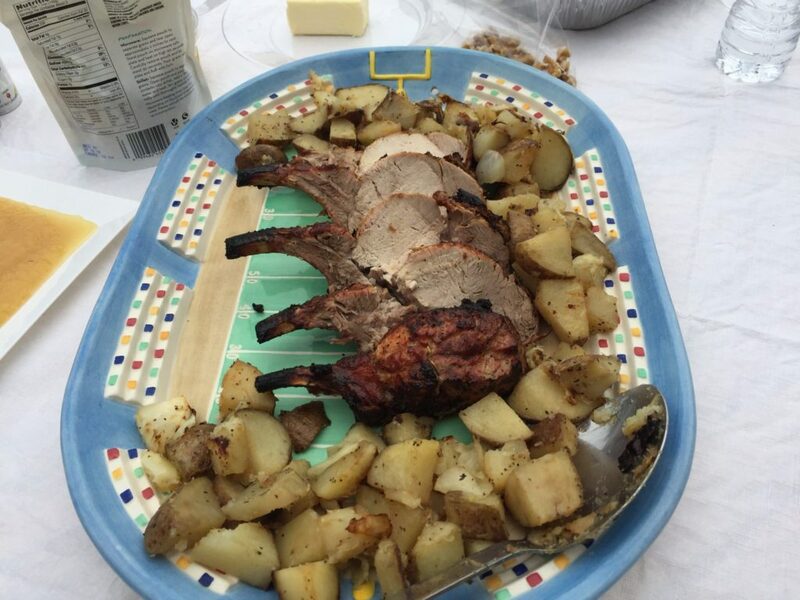 Always a lot of good meals, as you can see below, and wide-ranging conversations. 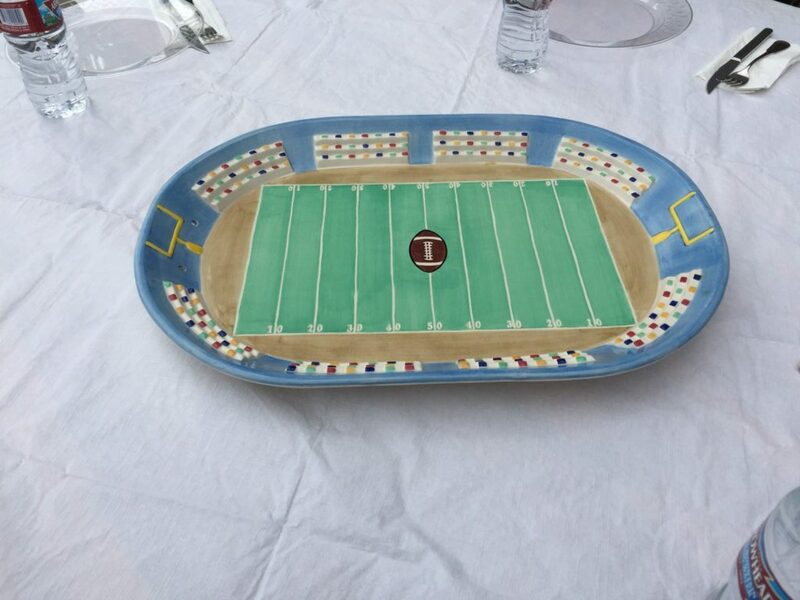 And yes, that is a football stadium platter…Fisher and Trish do love the sport! We have been at it all winter and all summer. In fact, I think we just had the best off-season we’v ever had. It’s been fun watching our kids work. The summer workouts have been exceptional. I think the Westerners are ready for August 7th. This week out here in Laguna is my escape. I enjoy every minute of it. It’s a break from the norm. Much, much needed time for this coach as 2017 is barreling down on us all. It’s almost time to rock! 2017 for the Westerners will be filled with the usual goals, ones I do not waver from. For instance, it’s expected we get to the playoffs. I will never back down from that expectation. Playoffs or bust, that is the mantra. To coincide with our playoff goals, we have some new things to focus on as we roll through 2017. 1. Respect the process – I picked this up from Bruce Arians on the documentary All or Northing. Coach Arians says this a lot before the Cardinals hit the practice field. I love it. My interpretation is this: we know who we are, we know what we do and we know what goes into the painstaking process of a football season. So instead of complaining about the process, we will respect the process! Yeah, we know it’s a tough sport. We know practice isn’t fun. We get it. But, if we respect the process and embrace it we will learn a lot about football and life. No time for complaining. Treat this game right; do it the right way. Respect the process. 2. You are owed nothing – from coaches to players, everything we do is earned. Nobody owes you anything in this game. Earn what’s yours every day. Don’t expect to get what you want with a bad attitude. You will not make it. Nobody owes you anything in football or life. Work hard. Do your job. If you do your job you will earn what it yours. Nobody gives that to you. 3. Attitude – bad attitudes create bad habits. Bad habits create bad practices. Bad practices create bad results. Bad results create a bad environment. Get it? Basically, bad attitudes ruin everything you work for. It will not happen on my watch. Guaranteed — 100% fact. Bad attitudes go bye-bye. We will have the right mindset every day we hit the field. I have plenty more to offer up, but I can’t put it all in one blog. This is the just the first one of 2017. Plenty more to come. not trade it for anything. Time to get this season rocking!